This is an update from my last report on the AGS in September 2009. After 7 years of happy membership I am letting it lapse and saving the money to spend in the garden. The local branch society never lived up to my aspirations as a club despite some great speakers, I never felt part of the in crowd. The national society provided an excellent magazine and a seed distribution service which I will miss until I decide to rejoin. For my birthday I received membership to the Alpine Garden Society ‘The Big Society for Small Plants’. The package supplied with my membership is very impressive, in addition to my national membership card I received a membership voucher for 1 years local group membership and a list of 53 regional venues. As a special offer my first years membership will run from August to the end of next year and at £25 for 16 months, it seems great value. Competitions and shows are a large part of the society’s activities . A full programme (72 pages) for 2009 with rules and specifications was sent with my pack. This years remaining events include, 26th September 2009 Gillingham Autumn show, October 3rd Loughborough show and October 10th Newcastle. A 2010 programme is promised shortly. Whilst I am not likely to enter competitions it was interesting to see what plant varieties were consistant winners. The Alpine Gardener Bulletin volume 77 no.2 is a superbly produced 140+ page book with stunning pictures. Whilst this is the 80th anniversary edition I hope the other quarterly books are to the same standard. ‘Alpine news’ lists books and holidays for sale and it is a good idea keeping these adverts on a separate leaflet, away from the main publication. Seed distribution is also one of the services the society offer and you get more seeds if you collect and donate your own seeds. So far so good the Society seems to be a great advocate for Alpine gardening and have a good membership package. As with all societies I guess the more you put in the more you get out so it looks like I will have to polish my Alpine gardening skills. 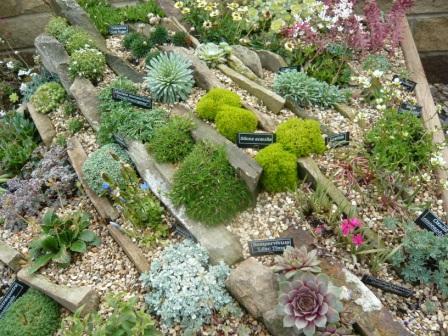 The Scottish Rock Garden Club links with The RHS and Alpine Garden Society on the joiny Rock Garden Plant Committee. I have talked before of Lewisia becoming trendy and offered some growing tips. I have had another year of experience and like the way my plants are performing. 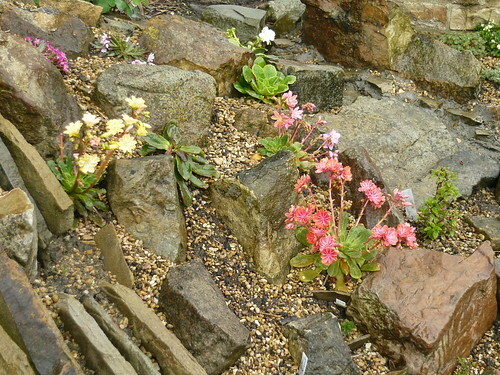 The above plant is flowering amongst the old leaves of the primula that cropped up in the sandy soil of my rockery. From the Portulacaceae family most Lewisias could almost be mistaken for succulents. 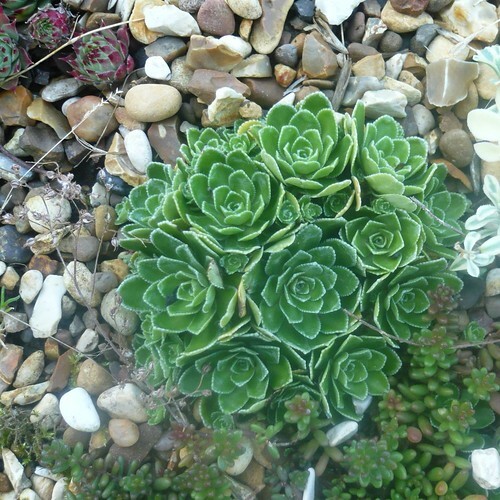 They produce thick or fleshy, green, shiny waxy leaves in rosettes. Fritillaria is a genius genus of over 100 species of bulbs from the lily family with an attractive and graceful habit. They generally grow about 4-12 inches in height and have pendulous bell shaped flowers of yellow, orange, purple, green or white in the spring. they often have a chequered green or brown colouring. In Germany this handsome flower is also called Lapwing-egg, Chess Flower and Boardgame Flower (in German I suppose) Some common English names include Fritillary, Toad lily, Snake’s Head Fritillary, Guinea hen flower and Crown Imperial. If these Fritillaria are grown from seeds sown fresh they will yield more bulbs than one would have obtained from offsets of the old bulbs but they can be slow to produce plants of flowering size. 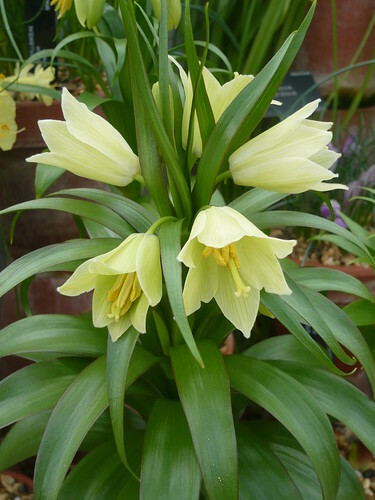 Many of the species are suitable for the frame or Alpine house but are also grown in borders and grass (Fritillaria meleagris the Snake’s Head is seen like this in Magdalen College Oxford). 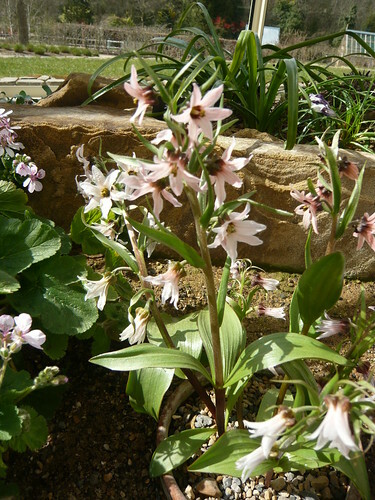 Other species to look out for include the small Fritillaria tubiformis and its hybrids, Fritillaria verticillata with white bells on a taller plant and Fritillaria camschatcensis (the Black Sarana) with a very dark maroon almost black flower. The Crown imperial or Kaiser’s Crown Fritillaria imperialis can grow to an imposing 3 feet and is best planted at least 10″ deep. NGS – Gardens open for charity. British Hosta and Hemerocallis Society. 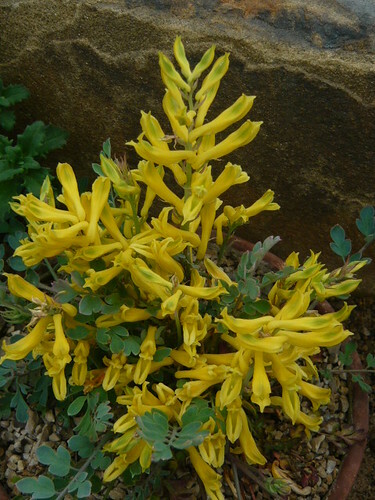 Corydalis popovii is a small bulbous plant flowering up to 6 inches in height. In spring it assumes a white colouring after the purple flowers. 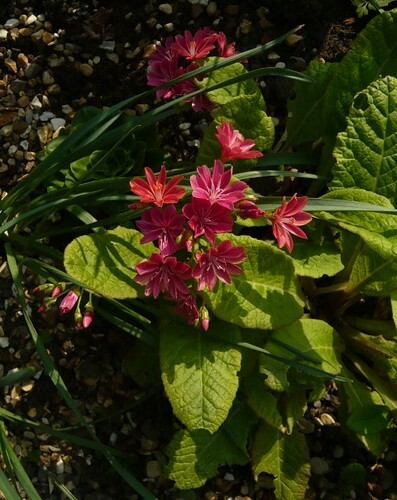 This plant comes from Central Asia and is easy to grow and long-lived in a well-drained compost in a pot. 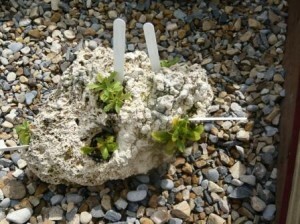 They can be grown in the open garden in full sun and freely drained soil. Fertilize with a specific fertilizer for bulbous plants, every 2-3 weeks, from when the first flowers start withering. Corydalis plants don’t like cold temperatures or wet conditions and need a rest period before being brought back into growth. Corydalis wilsonii arrived from it’s native china comparatively recently. 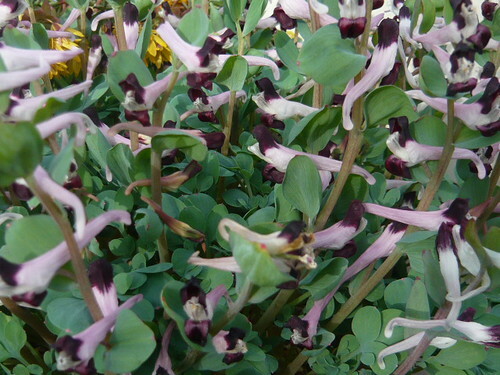 It is a compact herbaceous plant with light green leaves. 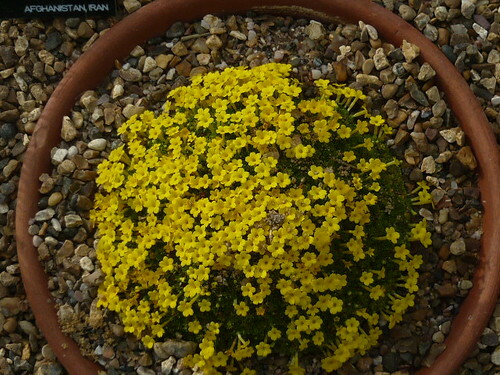 It flowers on errect spikes, 1″ long, in a deep yellow during late spring. 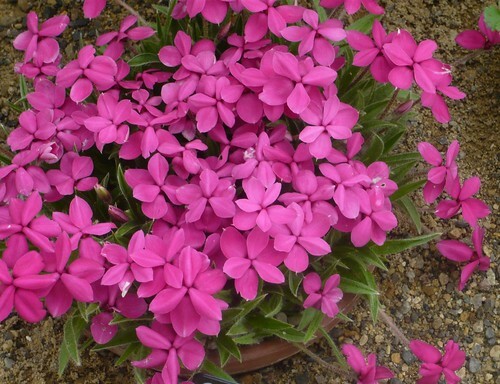 This variety is suitable for growing in pots. I have just bought a Corydalis Kingfisher from the local AGS meeting. Kingfisher has blue flowers with a hint of green from March to Aug and is only without flowers when dormant during winter. St Valentine’s Flowers but Aubretia? Beauty is in the eye of the beholder so keep an eye open for unusual sights on the 14th February. Rather than Roses or posies this Aubretia plant has decided to grow a heart shape all of its own. Aubretia is a compact low growing plant that flourishes on walls and rockeries in full sun. Aubretia is easy to grow at the front of the border on any reasonably drained fertile soil and will spread naturally by seed. 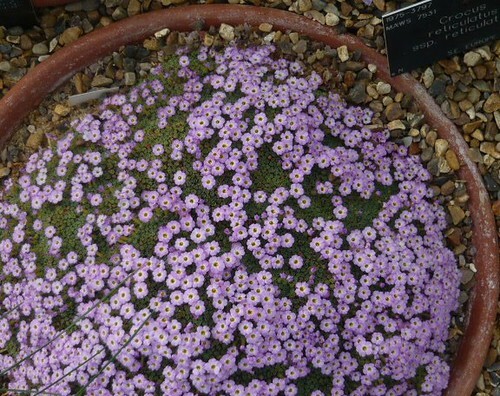 Aubretia deltoides or rock cress is good for ground cover and is available in shades of blue and purple. Grow from seed by sowing from late winter to early summer in a good free draining seed compost just covering the seed. Make sure the compost is moist and not wet and seal in a polythene bag until after germination which usually takes 14-21 days at 18C (65F). Aubretia is an evergreen perennial plant that is attractive to butterflies. 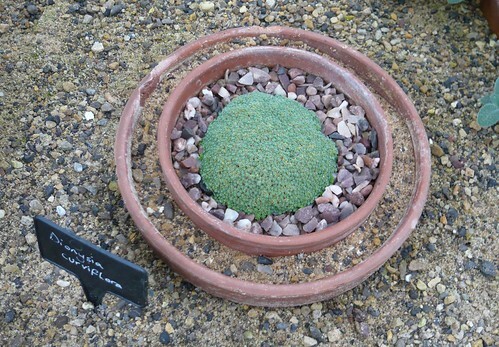 The new Alpine House at Harlow Carr has a plunge bed to be proud of as you may expect from the RHS. 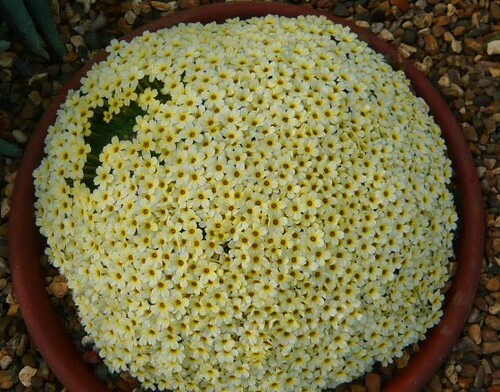 This Dionysia Curviflora has been double potted to facilitate watering and it’s flowers will be purple with a white inner ring and dark centre. The plunge bed is at a good viewing height and the display can be changed as plants develop and seasons change. As a purpose built, alpine house plunge bed there are several features it would be hard to incorporate in my glasshouse but the rake from front to back and the use of rocks builds up height to provide a landscape rather than a flat two dimensional display. The sand and gravel mixes vary depending on the plants being grown. 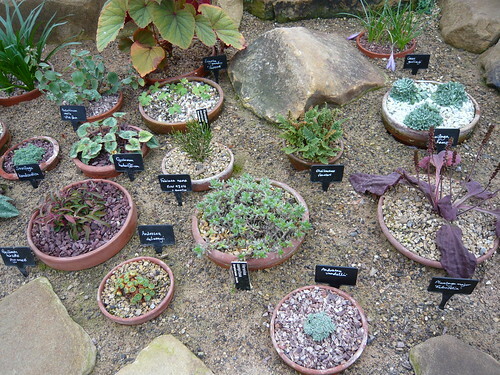 Some free planting around the plunged pots adds to the attraction of this type of alpine display. The alpine house is climate controlled but much of the daily watering is done by hand before visitors arrive to view the gardens. I am now keen to develop a better plunge area for my alpines. 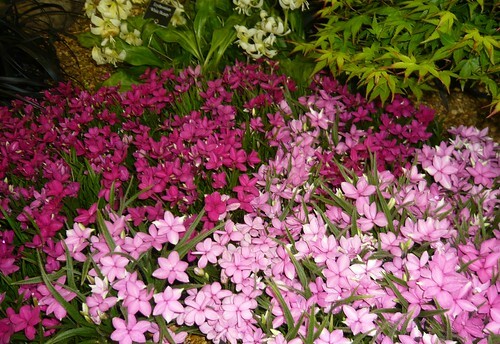 That is one of the joys or costs of visiting a best of class display like RHS gardens. Tip – Study the best and think how you can incorporate new ideas in your gardening. The photo below shows how different coloured chippings and grits can work with your display.